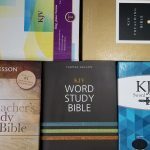 I was thrilled to be given an opportunity to review Alabaster Company’s The Beautiful Bible Four Gospel Set. This is not your typical Bible. Each Gospel is an actual separate book filled with full color photographs. They have chosen to break the Bible up. This makes it less daunting to read to those unfamiliar with it then a single 1189 chapter book would be. The designers wanted to produce a Bible that would engage our increasingly visually oriented society. Alabaster Company provided these books free for review. I was not required to give a positive review – only an honest one. This is the New Living Translation (NLT) used by permission of Tyndale. It was chosen because they wanted a modern English translation that didn’t sacrifice meaning from the ancient texts. Laid out more like modern books than traditional Bibles, each chapter is labelled prominently at the top of it’s starting page. Verse numbers are there but have intentionally been kept small and light to distract less from the reading experience. 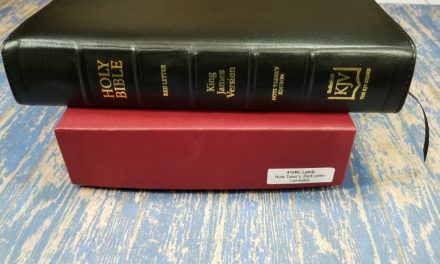 Section headings are bold and easy to see, and all the text in each section is kept in one block without separating verses, stanzas or even paragraphs. The pages are done in a variety of layouts. Some are single column while others are double column. Some pages contain quite a lot of text and others are left intentionally sparse. Some pages contain 2 or 3 small pictures and sometimes the picture spans both pages with the text on top of it. Only occasionally is there a two page spread without a picture (2 or 3 times per book) and spreads that contain only pictures occur with about the same frequency. Each book includes an introduction that details some of the major themes and explains how those themes helped the image selection process. These are paperback books with “perfect binding” (a glued construction style that trims the pages after binding). The covers are made of 100# cover paper (matted) and the inside pages are 80# text paper (unmatted). The pages are non-glossy. Each Gospel is 96 pages long and measures 9.5″ x 7.5″ x .375″. The books are a comfortable size to hold and read and I particularly like the thick paper. 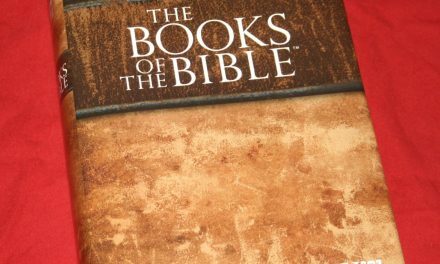 The photographs (75% of which were designed and photographed specifically for these books) are what make the biggest difference between these and other Bibles. While some of the images are fairly traditional and are easily associated with specific Bible stories others definitely are not. Some of the pictures are not what I would have done but that is part of the point. These images were carefully chosen to be thought provoking. To make people stop and think about the Word of God presented with them and how the images and words relate to each other. Choosing both literal and figurative images, majestic and mundane means that one picture or another to will grab a wider variety of people. I was able to find a few of my favorite passages quickly because of the image on the page when I first opened the books. As I used them more and thought about the pictures placed with each one the passage became easy to find. 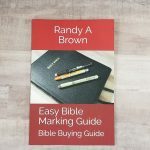 One of the great things about Bible art journaling is once I’ve illustrated a passage in the Bible my drawings help me find it and help me remember what I learned from it. The photos in The Bible Beautiful are less personal but more easily accessible to a large number of people to accomplish the same purpose. Brian Chung and Bryan Chung are both in ministry and started this project to give the readers a visual experience that would raise their level of contemplation. They wanted to start a discussion about art, beauty, and faith that would (hopefully) point back to the beauty of God. This project was funded through Kickstarter originally and received 180% of it’s goal. Because of this large funding they were able to print extra books and make them available to those beyond their original backers. Randy has an interview in the works with Brian and Bryan that will help you learn more about these innovative designers. 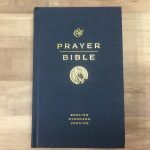 If this is something you think your local Bible bookstore (or regular bookstore) would be interested in carrying please direct them to the Alabaster wholesale inquiry page. The Bible Beautiful is a beautiful and engaging new way to look at the Bible and the four gospels was a very good place to start. I believe this format will be particularly interesting to a generation raised on Snapchat, Tumblr, and YouTube. This version should also be much easier to get the unbeleiving or unchurched and those who have been away from church for awhile to read. 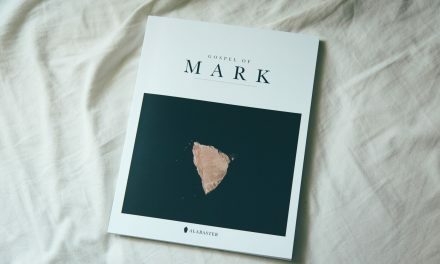 A Bible in this format will never replace a traditional Bible (especially for carrying) but I love the idea of encouraging people to take a fresh look at the Word of God. I hope they continue to make additional books until they have completed the entire Bible. Genesis (they might do it next), Psalms, Proverbs, and Acts are the ones I’m most looking forward to.